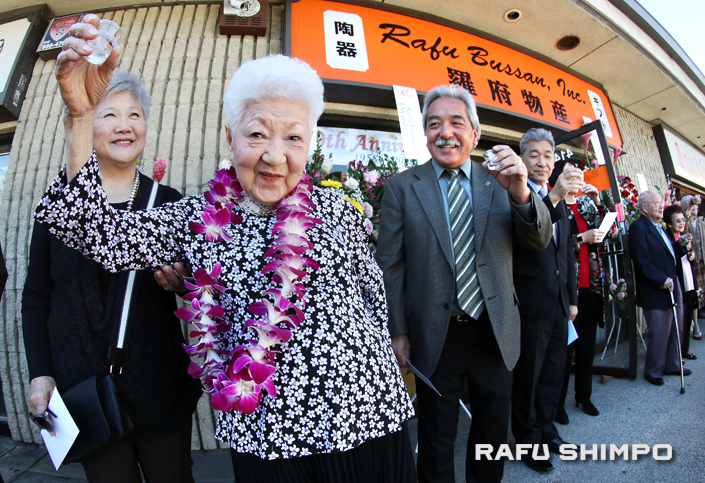 Aiko Kawaratani (center) shares a toast as her store, Rafu Bussan, Inc. celebrated its 60th anniversary on March 6. Rev. 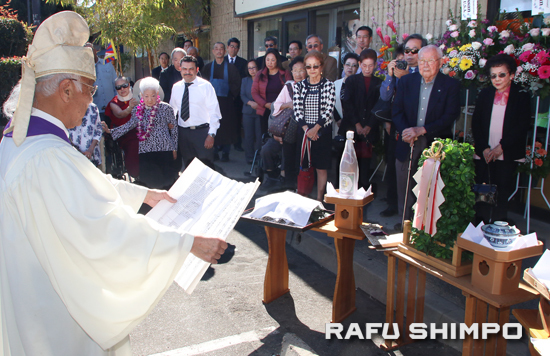 Al Tsuyuki of Konko Church of Los Angeles performed a Shinto purification rite in front of the store, located in Honda Plaza in Little Tokyo. 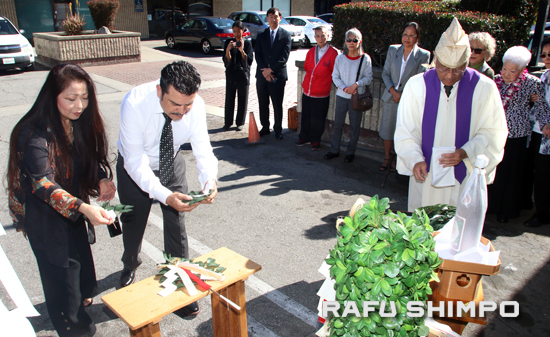 Rafu Bussan employees Carol Tanita and Rigoberto Martinez make offerings at the shrine. 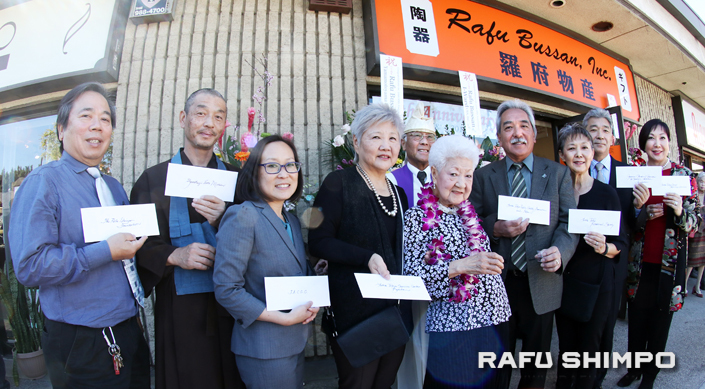 Kawaratani (wearing lei) gave donations to following organizations and their representatives (from left): Rafu Shimpo Foundation (Michael Komai); Zenshuji Soto Mission (Rev. Shumyo Kojima); Japanese American Cultural and Community Center (Leslie Ito); Little Tokyo Service Center/Budokan (Chris Aihara); Konko Church of Los Angeles (Rev. Tsuyuki); Little Tokyo Public Safety Association (Brian Kito); Little Tokyo Historical Society (Patty Ito Nagano); Japanese Chamber of Commerce of Southern California (Jeff Yamazaki); Little Tokyo Nutrition Services/Koreisha (Darlene Kuba). Not pictured: Aikido Center of Los Angeles (Chief Instructor David Ito).